The local FFA Chapters are planning the 2nd Annual FFA Heifer Show & Sale at the Marias Fair. All FFA chapters in the 4-County area have been invited to participate. Each FFA chapter has the opportunity to bring one halter-broke, bred heifer to the fair. These heifers, in a class all their own, will show on Friday the 20th, after the Breeds Show. Then, each heifer will be auctioned off in front of the grandstands at the NRA Rodeo on Friday evening. EVERYONE is invited to attend! Top bidders will be winners of some fine high quality females! No need to bring your trailer or lead rope, the FFA members will arrange for transportation of the animals to your front door (or summer pasture if you prefer). 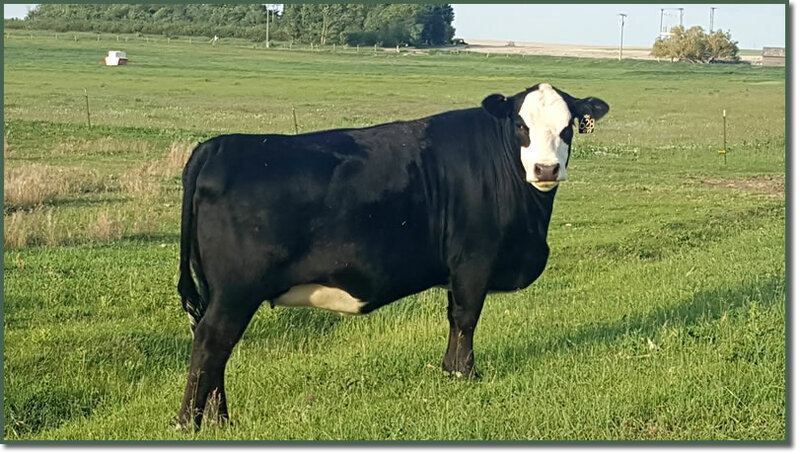 This fancy black baldie heifer was shown and sold last year, by the Valier FFA Chapter. We look forward to seeing the FFA heifers for 2018!